Renal failure or kidney failure is where the kidneys fail to function adequately. Renal failure is divided in acute and chronic forms; either form may be due to a large number of other medical problems. Renal Failure - What is Renal Failure? Renal fibrosis, the abnormal accumulation of fibrotic material within the kidney, hinders kidney function and may lead to eventual renal failure. Until recently, physicians had generally assumed that older adults benefit from keeping their blood pressure below 140/90 mmHg. However, researchers from Charité - Universitätsmedizin Berlin have now found that this assumption does not apply to all patients with high blood pressure. 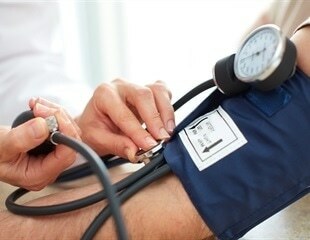 Patients with septic shock who were treated with norepinephrine earlier than patients receiving standard care were more likely to have their blood pressure and shock stabilized within six hours of diagnosis, according to a randomized, double-blind, controlled trial published online in the American Thoracic Society’s American Journal of Respiratory and Critical Care Medicine. Scientists have identified an enzyme that is a "master regulator" of kidney function that if excessively suppressed, can trigger renal failure. Their findings have implications for the use of existing drugs and the development of new pharmaceuticals. Researchers have discovered that a hormone, fibroblast growth factor 21 (FGF21), is extremely elevated in mice with liver disease that mimics the same condition in patients with methylmalonic acidemia (MMA), a serious genomic disorder. The bite from a brown recluse spider (Loxosceles) can cause skin necrosis, renal failure, and even death. A new ointment is being tested in Brazil, however. Its effects have already been proven in tests conducted in cell cultures and animal models. In the largest trial to date to assess cardiovascular outcomes for an important class of diabetes medications, researchers have found that dapagliflozin markedly reduced the risk of hospitalization for heart failure in a broad population of patients with diabetes. 4TECH Inc., a leader in the field of transcatheter tricuspid valve repair, initiated its U.S. Early Feasibility Study, following receipt of approval from the U.S. Food and Drug Administration, with the successful first two implantations of the TriCinch Coil System at Piedmont Heart Hospital, Atlanta, Georgia, by Dr. Christopher Meduri, Dr. Vivek Rajagopal and Dr. Mani Vannan. There just aren't enough kidney transplants available for the millions of people with renal failure. Hospital readmissions cost hospitals about $26 billion annually. Systems like the Hospital Readmission Reduction Program within the Affordable Care Act penalize hospitals with higher readmission rates for targeted diagnoses. Mesoblast Limited today announced that Mesoblast's proprietary allogeneic mesenchymal precursor cell heart failure product candidate MPC-150-IM for use in children with hypoplastic left heart syndrome was featured at the First Cardiac Regenerative Symposium for Congenital Heart Disease in Baltimore, Maryland on the weekend. A protein produced by the human body appears to be a promising new drug candidate to treat conditions that lead to acute renal failure. This is shown by a study conducted at São Paulo State University in São José do Rio Preto, Brazil. Sesen Bio, Inc., a late-stage clinical company developing fusion protein therapies for the treatment of cancer, today announced that the company will present its three-month Phase 3 VISTA Trial data during a poster session at the Global Congress on Bladder Cancer 2018. An international research team led by Wolfgang Weninger, who has been Head of MedUni Vienna's Department of Dermatology since 1 September, has discovered a previously unknown virus that acts as a "driver" for certain kidney diseases (interstitial nephropathy). AstraZeneca and MedImmune, its global biologics research and development arm, announced today that the US Food and Drug Administration has approved LUMOXITI (moxetumomab pasudotox-tdfk) for the treatment of adult patients with relapsed or refractory hairy cell leukemia who have received at least two prior systemic therapies, including treatment with a purine nucleoside analog.